After being rescheduled from its original date in December, Venezuela’s upcoming presidential elections will take place on October 7. There are several valid reasons to consider the outcome of “7-O” as a pivotal moment for a new direction of the country. For starters, in contrast to the example of Mexico’s recent elections, Venezuela’s approaching ballot will only decide the presidency; this means that there will be but one winner for a six-year presidential term. For almost the first time in memory, President Hugo Chávez might be losing his preferred status as frontrunner. However, the Supreme Court, the National Electoral Council, and other key institutions in the country would still remain under Chávez’s and his party’s sway even with the victory of the opposition candidate. As the world focuses on Miraflores’s possible change of tenant in the coming days, it is essential to comprehend a complex Venezuelan electoral system. At the same time, it is also critical to recognize the different aspects affecting the presidential contest, such as the intricacies of the electoral system and the inherently uneven playing field being faced by the competition. During the 2006 presidential elections, the opposition under former Zulia Governor, Manuel Rosales, was widely seen as a dwindling political force. Regardless of its massive campaign, the opposition’s credibility was undermined when, in 2005, its parliamentary candidates decided at the last minute to opt out from the National Assembly’s race, effectively handing all of its seats to Chavismo‘s contenders. Since then, the opposition has shied away from repeating these blunders, and subsequently has recast itself as a conciliatory alternative with a much more tempered campaign. These tactics may have richly paid off, leading to an organized, united, and efficient opposition, the Mesa de la Unidad Democrática (Democratic Unity Roundtable, or MUD) and its talented candidate, Henrique Capriles Radonski. Nonetheless, Capriles’s campaign has not been unblemished and he has suffered some major setbacks within recent weeks. On September 14, the ruling party released a video that accused his campaign´s third in command, Juan Carlos Caldera of involvement in a bribery scandal. Although Caldera’s and Capriles’s quick response may have stymied the majority of the political damage that was inflicted, there is no question that this event has set Capriles back in the race. Also stacked against the Capriles campaign, in the view of many outside the country, is the coordinated detention of the last of Colombia’s great capos, Daniel “el loco” Barrera, which may be able to catapult Chavez’s image as a peacemaker. Yet, it is true that both candidates face serious challenges regarding domestic issues. A rising inflation rate, for example, competes with daunting homicide figures and countless examples of apparent incompetence on the part of the Venezuelan state oil company, Petróleos de Venezuela S.A (PDVSA), in its efforts to extinguish recent refinery blazes at Amuay and El Palito. 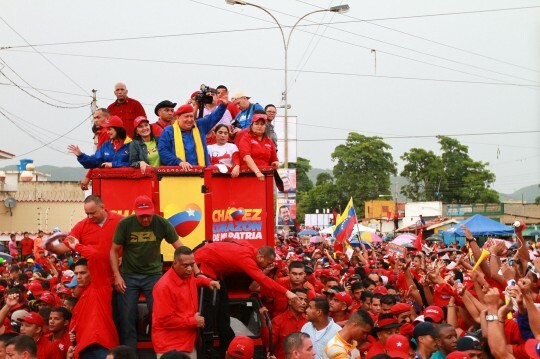 In the race itself, Hugo Chavez’s official campaign committee, Comando Campaña Venezuela (CCCV), is striving to redirect the conversation away from Chávez’s flirtation with the status quo for the last thirteen years. At the beginning of September, the CCCV released a document outlining its final strategies meant to lure the undecided voters via two key messages. The first of these drives at revolutionaries’ supposed moral supremacy, while the second scenario frames Chávez as an ordinary citizen. These are both important portrayals that reveal the CCCV’s strategy of dismissing charges regarding Chávez’s tenure as being too long and that it was time for a change. For his part, Chávez is beginning to look as a comeback kid would. He is looking stronger at the moment than he had over the past several months. In a September 19 Socialist Party youth meeting, his diatribe on the essential role of Venezuela’s new generation for the self-described “Bolivarian Revolution” was given a passionate reception by those attending. Also, his high level of energy suggests that he has made important headway from his debilitating cancer and has fought back for the time being. However, it is quite evident that over the past three years, and especially as of recently, pessimism towards Venezuela’s economy and the government’s mismanagement of it is on the rise. Opposition leaders are perhaps as confident as ever about their ability to win this year’s presidential race. 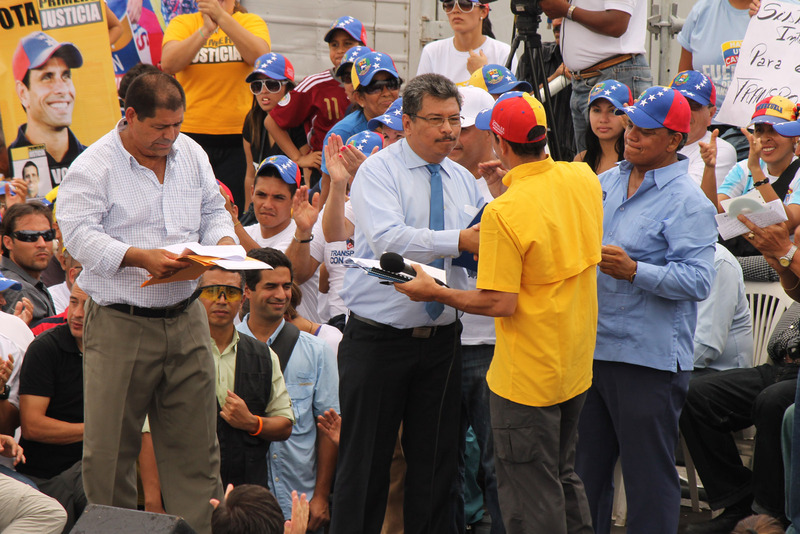 This perceived blow in public confidence has forced Chávez to step up vitriolic assaults in his rhetoric. Early this year, Chávez boosted the Gran misión en amor mayor in order to provide for the first time in Venezuela’s history, a pension contribution to every citizen who reaches the age of 55. Additionally, two months before the elections, the Chávez Administration decided to increase the contribution at the same level of the minimum wage (approximately USD $476). Moreover, Chávez has decided to torpedo Misión Vivienda, a state housing program, and enlisted around 500,000 Venezuelans in an alternative housing registry. By providing these future benefits, which most economists agree are not sustainable in a long term, his backers insist that Chávez is striving to convince voters that he is fulfilling his promise to Venezuelans and merits reelection to a third six-year term. At the same time, the Venezuelan president has opted for a tactic of fear mongering when delivering his speeches to the Venezuelan citizenry. When not warning the poor families that they will lose current social benefits under a Capriles regime, he is persuading the wealthy ones that by casting a vote in favor of him, they will avoid a full-fledged civil war. As evidenced by the outside Arriagada-Woldenberg report, multiple foreign observers believe that the government is actively attempting to polarize select segments of the population, while the opposition has expressed at least superficially a desire for moderation. 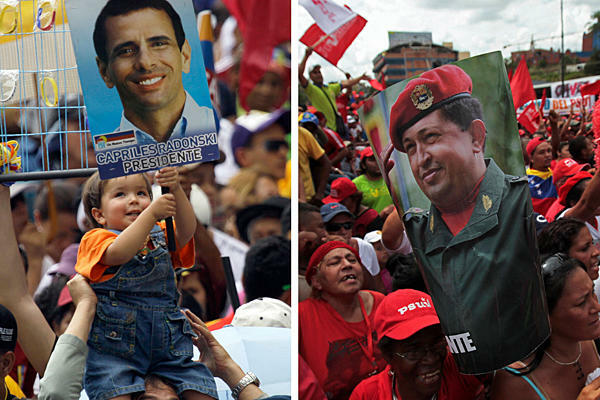 Given recent polling, these elections will be by far the most competitive race in Chávez’s reign as president. However, throughout the presidential campaign, the polling institutions have tended to release contradictory results concerning the citizens’ political preferences. This action may be due to the fact that the National Electoral Council (CNE) has enacted relatively vulnerable conditions aimed at controlling the registration of future startup national opinion polls. 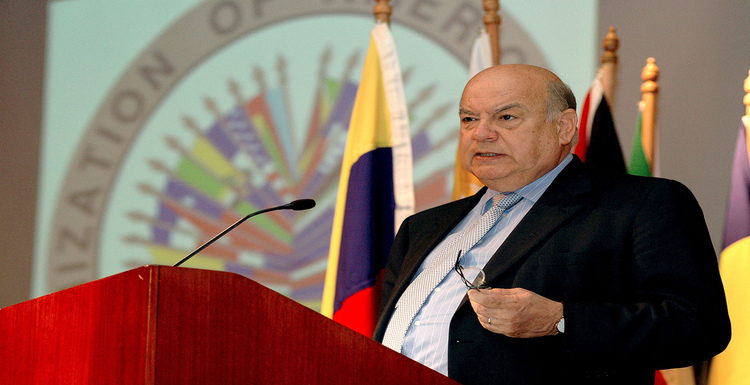 Separately, the CNE repeatedly has insisted that the electoral system is adequately transparent to prevent the traditional flaws involved in controversial international election operations, from where Latin American elections are being monitored. 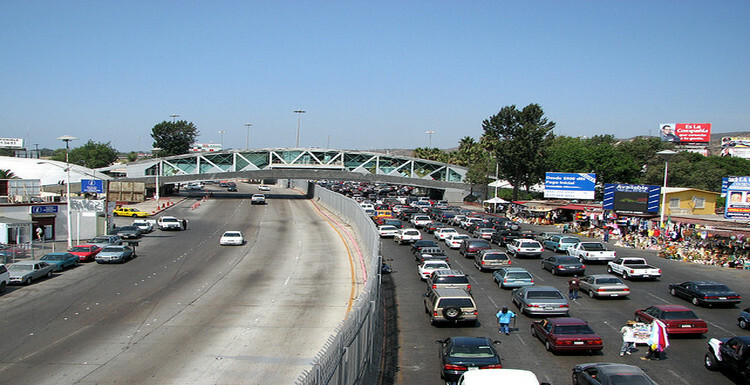 What is more, the CNE officials set up a new international observing figure know as international accompaniment. As a result of this technical change, many foreign monitoring bodies, such as the European Union and the Carter Center, have decided not to come to Venezuela and screen the upcoming elections. In a conference that took place at the Wilson Center in September 7, Jennifer McCoy, a Carter Center officer, assured that the Carter Center will still maintain an informal observation mission who will be in touch with the domestic-based observers. (Video available at 51:30 min). Nonetheless, some opposition members still remain skeptical of the upcoming elections’ transparency. They perceived the absence of an effective international observer function, along with the preponderance of chavistas in the CNE, as a signal that the government is comfortable with a veil of ambiguity shrouding the results. However to the consternation of some, experts refer to the Venezuelan electoral system as one of the most technological, reliable, and transparent systems existing worldwide. In fact, this automated election system, manufactured by Smartmatic Corporation, rules out any possible fraud that would otherwise go undetected. So far local NGOs have preemptively reacted as well as by forming domestic observers groups. Moreover, the CNE will grant between 600 and 700 posts for every monitoring group deployed, which reflects a significant level of a commitment to the principle of a transparent process. Furthermore, international experts agree that the electoral system as a whole is very advanced and quite organized. Polling stations officials are designated by public lottery and the results are all available on CNE’s official website. Secondly, a finger print identification system is being designed to prevent any polling station officers from reproducing votes and stuffing the ballot box, reject the double voting and deny the possibility of fraudulent voting. Lastly, there are two ways to tabulate the votes: electronically count with the machines, or the physical count of the ballot boxes, also known as verificación ciudadana. In spite of all the preventive measures, 40 percent of the opposition voters still do not believe that their vote will be secret. Some chavistas have allegedly taken advantage of this fear to encourage them not to vote. One essential caveat of the presidential campaign is the disproportion in the level of funding of the political parties. Indeed, Venezuela is the sole country in Latin America that does not provide public financing for campaigns or any association with political aims (according to Article 67 of the Bolivarian Constitution). Yet, the reality of public spending to support the government candidate has turned campaign funding into a thorny issue. Indeed, Capriles campaign finance officer Rafael Guzman has claimed that when it comes to financial resources, both candidates are fighting against two checkbooks, and the government candidate is clearly the winner. In spite of accusations against Chávez for drawing financial resources from PDVSA and from a development state fund, Fonden, government officials dismiss these allegations and also have responded that Capriles is being predictably backed by business tycoons. Meanwhile, the opposition asserts that the government is also using oil loans from the China Development Bank. These loans, amounting to $42.5 billion USD, also are alleged to have bankrolled a substantial amount of President Chávez’s housing project, a major component of his campaign platform. Since there are no measures in place to publicly regulate these funds, these flows of money presently remain private and undisclosed. Still, one can say, with some conviction, that during his thirteen years in power Chávez has transformed PDVSA, the country’s main economic development engine, into a political patronage trough. In another glaring disadvantage, the Arriagada-Woldenberg report has underscored that the greatest weakness to Venezuelan democracy is probably the uneven media coverage being afforded of the candidates. While the law limits campaign advertisement to just three minutes of paid television and radio a day, president Chávez has taken an unfair advantage of the so-called ley Resorte, which aims to regulate the media coverage of the country’s social services. In fact, Article 10 of the law gives the right to the executive branch to enunciate the government’s cultural and social programs, but not to promote or publicize any government organ, for a maximum of 15 minutes per day or a maximum 70 minutes per week. Nonetheless, Chávez has clearly circumvented this law and turned the media into one of the main engines of his campaign. According to Monitoreo Ciudadano, an NGO in charged of monitoring the State media, President Chávez since January 23 has spent 99 hours and 3 minutes promoting his campaign on national television. In other words, he is not only bending the rules, but he is also using an average of 160 minutes weekly to publicize his campaign. These actions carried out by the executive clearly indicates the growing state monopoly of the media. Consequently, it manages to elucidate the uneven conditions of the upcoming presidential elections. The observer could still argue that in spite of the heavy baggage he is carrying, President Chávez still holds a majority of the electorate’s vote. But for the first time since 1998, the opposition under Capriles has a fair shot. More importantly, the opposition supporters are feeling confident about a possible victory, despite the lack of funds and media coverage for the Capriles campaign. On the other side of the political battle, the electoral system embodies one of the most reliable arrangements worldwide, Venezuelans citizens have no reason to feel wary about the existence of a secret vote or the duplication of balloting. Even if during this election there will be virtually no foreign observers, it seems utterly unlikely that gross fraud will emerge as a defining factor of the campaign. The Comando Venezuela, the MUD’s committee in charge of managing Capriles campaign, has managed to thoroughly organize the opposition and coordinate with most local observers in order to prevent any irregularity that shows up during election day. For their part, Chávez and Capriles agreed on July 17 to accept whatever outcome of the October 7 elections produces. This action seems to indicate a fair compromise that would all but guarantee a transparent electoral process. Finally, given that the winner would not take over until January 2013, 90 days after the presidential election, greater attention should be paid to the political scenario in the months directly following the election than merely on the day itself. If President Chávez loses in a fair vote, his peacefully handling over of the reins of power would help cast his image as a leader who responds to what is best for Venezuelan and its citizens. Please direct media requests on the presidential elections to COHA’s Venezuela Electoral Working Group, consisting of Director Larry Birns, Research Associate Trent Boultinghouse, Research Associate Isabella Troconis, Research Associate Gervasio Saprisa, Research Associate Jade Vasquez, and Research Associate Peter Sufrin.Inquiries should be made via email at coha@coha.org or by telephone at (202) 223-4975. 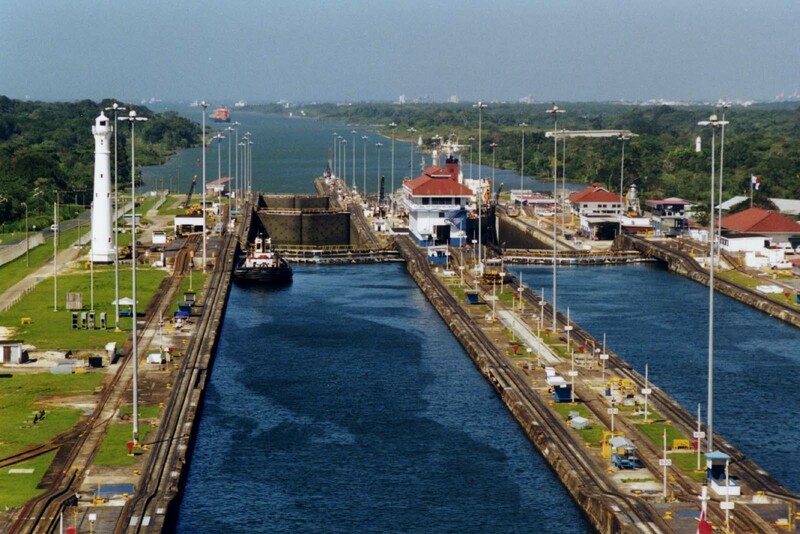 October 7, 2012: What Will Be Hugo Chávez’s Fate?